911uk.com - Porsche Forum : View topic - Under body panel part no. 911uk.com Forum Index > 997 (2004 - 2012) > Under body panel part no. 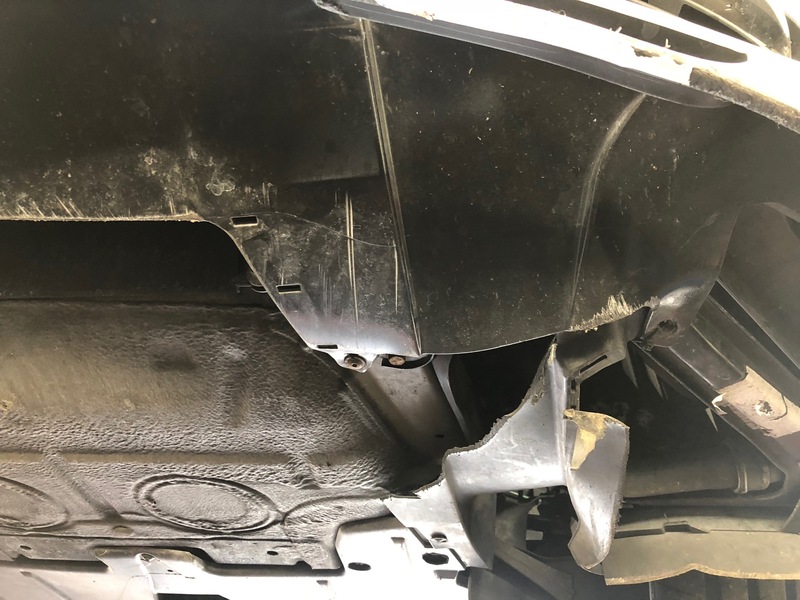 Posted: Fri Oct 26, 2018 2:59 pm Post subject: Under body panel part no. I can't find the broken part in the parts diagrams, anyone know what it is? No 1 here is the front arch liner ..
Is it just the plastic bit thats broken or is the rad support also damaged ? I looked at the arch liner but it didn't look the right shape on the diagram compared to my picture! It's just the plastic part that is damaged. Does the rad need to come out for this to be replaced? nope .. its a handfull of torx screws but it is a bit of a fiddle getting it out .. pull the bumper outwards whilst pushing the liner inwards. I thought the rad support might be damaged as the bumper is cable tied instead of the screw . I think you might also be missing a center air scoop ... has it got a center rad ? if so then you are but it doesnt matter that much to be honest . OK great, that will b ordered. It is missing the centre air outlet, I'm ordering that too. Does that need any hardware, I'l need to order that too. Not sure why the bumper is tie wrapped, it might just be that fixing hardware on that went AWOL so will need to order too! The rad support has a pushed in speed clip for the screw to fasten onto . Youll need a T 25 / T30 screwdriver or socket attatchments for the screws . Center air scoop just kinda clips in place into the bumper .. youll soon figure how all these bits fit .. its pretty straight forward . If not a picture and an email here for directions ..
No replys untill the evening though as thats the only time i log on my computer . Thanks for info, very much appreciated. Need to order some insets i think. I keep breaking my front arch liner/brake cooling scoop as my car is so low, the front part (as yours has) breaks off every so often, I just buy a used one online as the new ones are around £60 to replace each time and a used one will only get damaged again at some point and its unseen. Rear cover, number 7 - it uses clips - that fit into the chassis. In the chassis they are inserts pressed in. I ordered no 8 in the diagram but it's not those, No 8 are a totally different shape. Do you know if the inserts are part of another diagram? Thanks, will give OPC a call but i don't hold out much hope. Might have to make something. I think this is the part, looking from the top you can see the top of 3 clips.